Miami could be underwater by the end of the century if nothing is done to curb emissions. 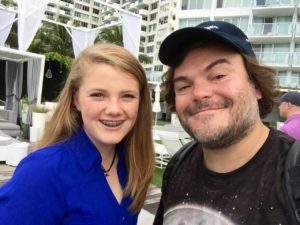 Jack Black and the #YearsProject are trending again following the December 22 YouTube release of this video short: “Saving Miami”. It is a compilation of clips from Season 2, episode 2: “Years of Living Dangerously: Gathering Storm”, which aired on the National Geographic Channel November 2, 2016. YEARS of LIVING DANGEROUSLY combines the blockbuster storytelling styles of Hollywood’s top movie makers, including James Cameron and Jerry Weintraub, with the investigative skills of 60 Minutes veterans Joel Bach and David Gelber and a team of leading national news journalists and scientists. He says Miami was an immediate choice because people from across the country and the world move there and visit there. And because the city’s well-known and embraced, it’s a good starting point to attract national attention to climate change. Meyersohn described Miami as “ground zero” for climate change. 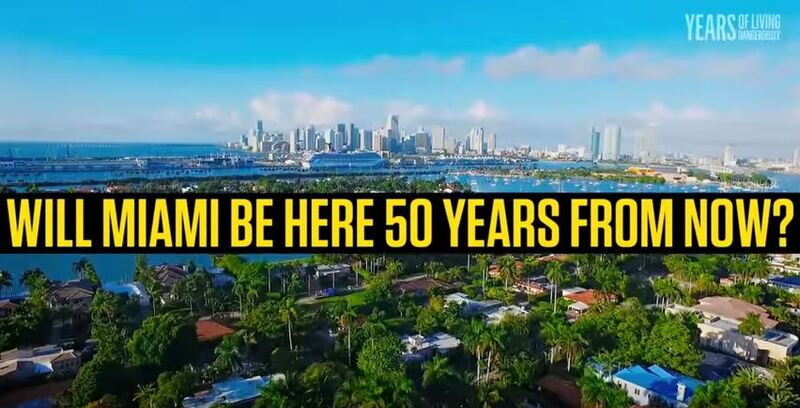 He says that in contrast with cities like Boston and New York, where a lot of attention’s paid to climate change, Miami and Florida have a history of denial — notably among developers and state leaders like Florida Gov. Rick Scott and Sen. Marco Rubio. “You have a massive amount of building, sea level rise, political denial. And, denial based on the fact that you have not had a major storm in more than 10 years,” he said. Meyersohn said he and his team were encouraged that people here are getting involved in combating climate change. They interviewed a lot of them — activists, researchers, local officials and residents. One takeaway? Because Miami’s so beloved, “it’s particularly hard to deliver a message like, oh, this place is sinking,” Meyersohn said. The full episode of “Gathering Storm – Saving Miami” is available on demand at Google Play and Amazon, along with the rest of “Years of Living Dangerously” Season 2. Season 1 is available on YouTube, iTunes and Vimeo.